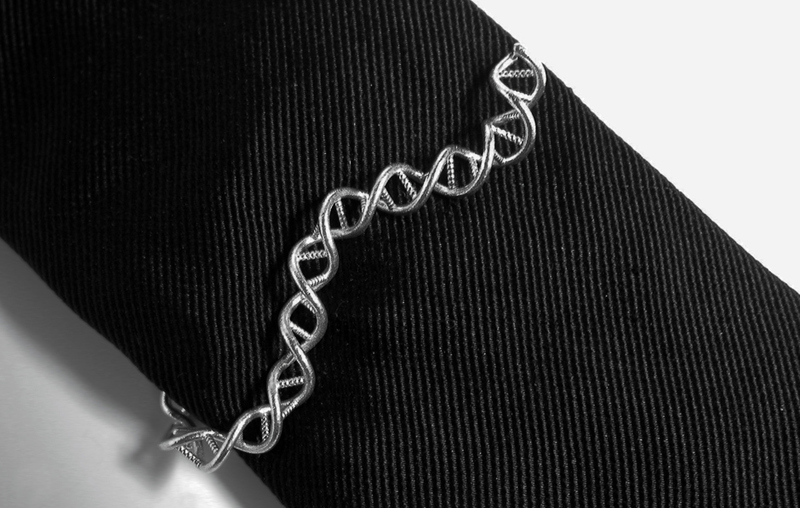 A customized jewel for Daniel Schümperli, molecular biologist and member of HUGO, as a present as invited speaker at Rigi Workshop 2013. 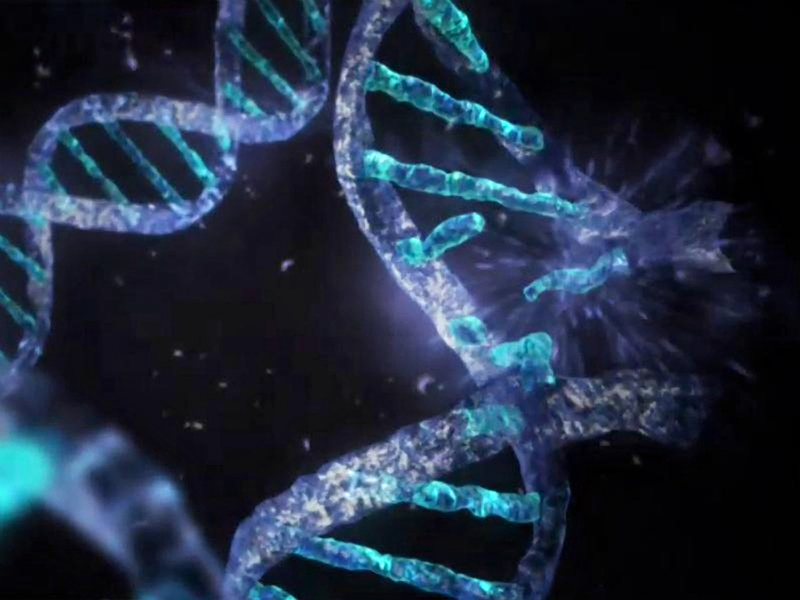 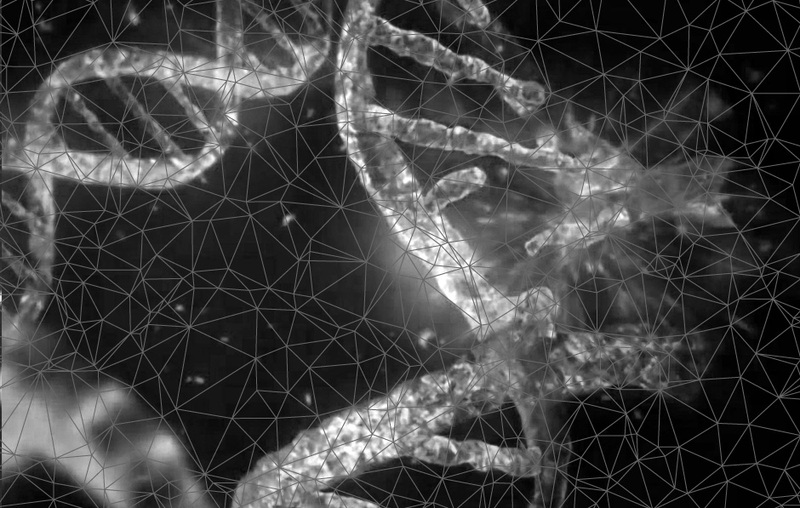 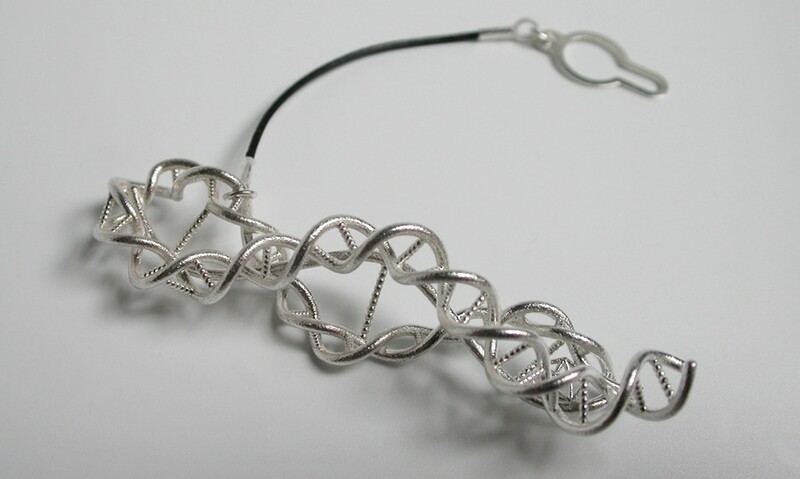 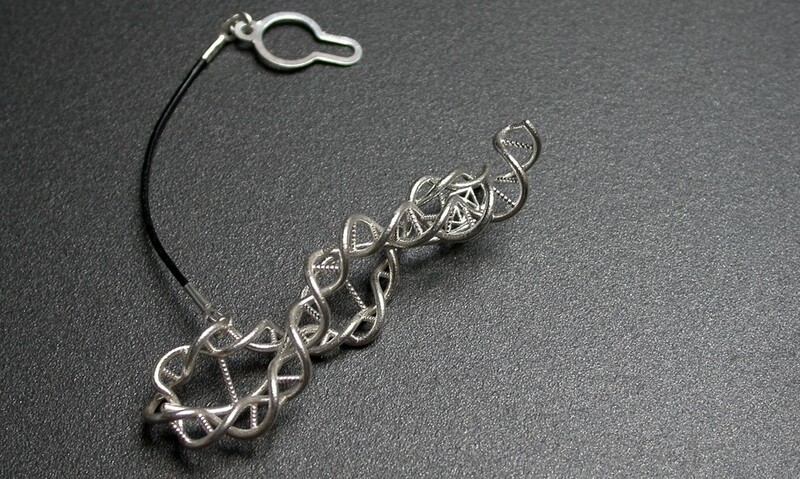 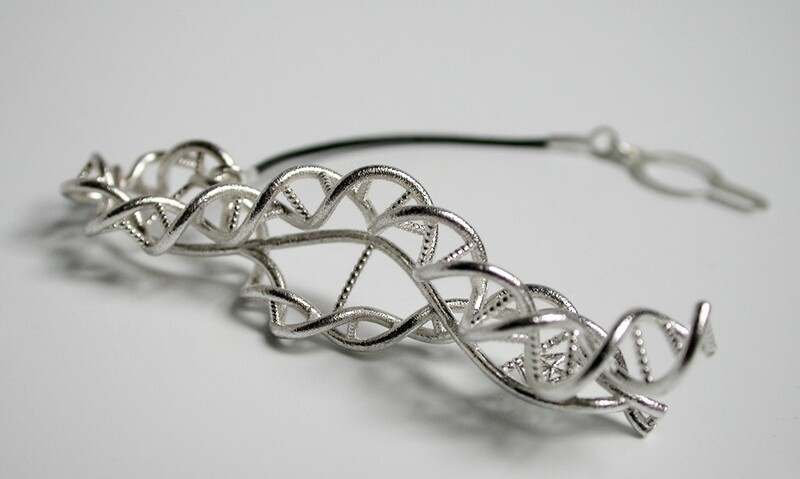 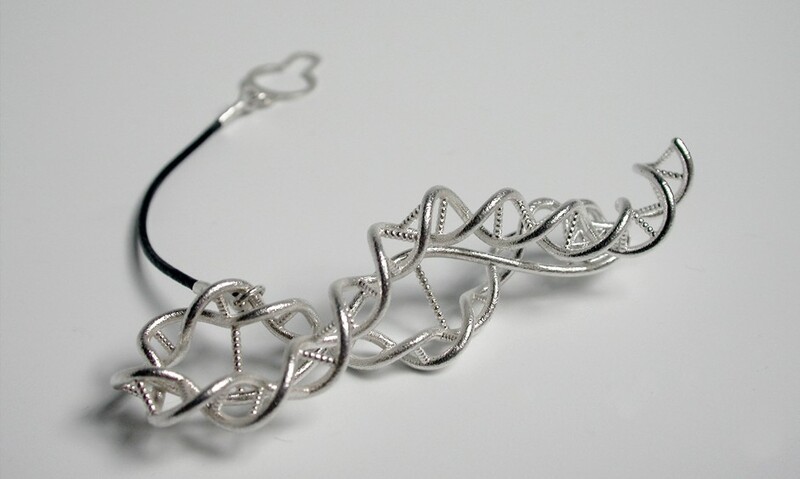 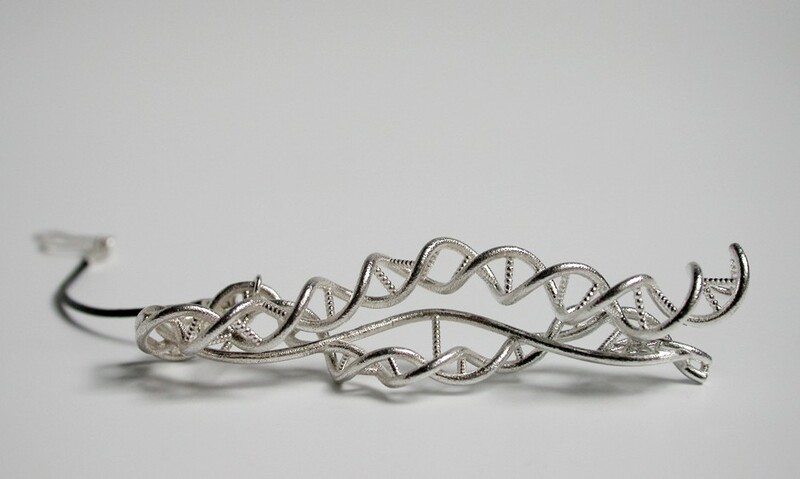 A customized jewel inspired on his musical band that transposes DNA codes and other types of genetic and biological data into music. 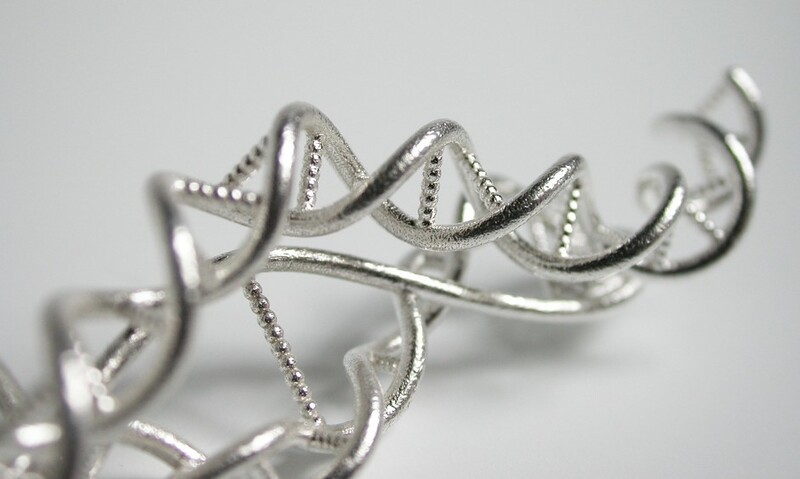 A doble-helix structure turned to tiepin jewel, a surprising object that looks so different when it’s wearing. 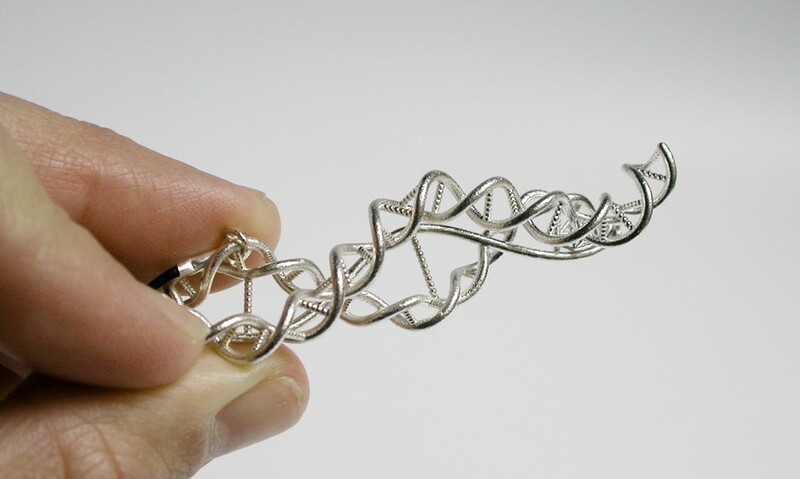 The jewel is manufactured from an accurate 3D printed wax model and then through lost wax casting process.